Zimbabwe has honoured the country's liberation heroes during the annual Heroes Day commemorations held at the National Heroes Acre in Harare. In order to prevent Zimbabwe from plunging into unstoppable violence, which will stall economic reconstruction and unleash a fresh wave of people seeking refuge in South Africa, the country must cobble together a government of national unity which involves all parties. The Movement for Democratic Change Alliance (MDC Alliance) has approached the country's constitutional court to annul the recent presidential elections result, in which Zanu-PF leader Emmerson Mnangagwa won with 50.8% and Nelson Chamisa, the leader of the MDC Alliance, polled 44.3%. The MDC Alliance claims the July 30 election was rigged, that the Zimbabwean Electoral Commission (ZEC) could not account for 700 000 votes, and that Chamisa should be declared winner, instead of Mnangagwa. The dispute has led to the postponement of the presidential inauguration, with Zimbabwe technically at the moment not having a government. The reality is, that so contested was the election on 30 July 2018 - the first without Zanu-PF's veteran leader, Robert Mugabe - that whoever won, was likely to have the other side challenging it. If the MDC Alliance had won, it was very likely that Zanu-PF would also have contested the election. The Zimbabwe election, like typical African elections, is a winner-takes-all one. Whoever wins the election wrongly believe they should control every aspect of the state, society and traditions. Losers are likely to be excluded from all spheres of government. This phenomenon makes elections across Africa deadly affairs. The Zimbabwean election is no difference. The current stand-off between Zanu-PF and the MDC Alliance may find resolution in court, but the crisis will continue politically. A coalition government will off course be a disappointment for the opposition who worked hard to secure what they claim to be an electoral victory, but it may be the best way to secure the wider public interest of Zimbabwe. Mnangagwa and the Zanu-PF leadership will be mistaken if they used an iron-fist to crush the MDC Alliance's rejection of the presidential election results. Zimbabweans are now emboldened by the fall of former Zanu-PF strongman Robert Mugabe. 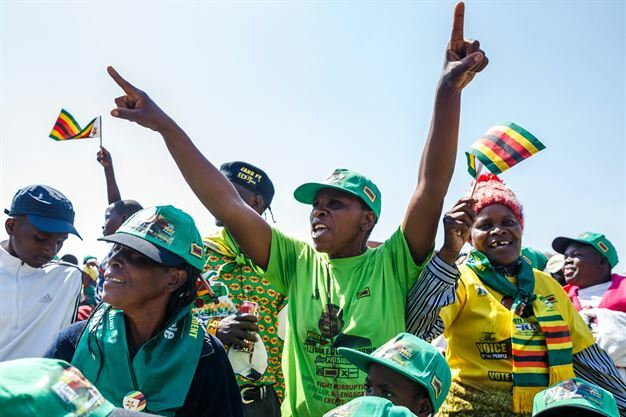 Large numbers of people have been so impoverished, their hopes of a bright future dashed by a Zanu-PF "victory", and their anger having reached boiling point over the enrichment of the Zanu-PF elite, they may have nothing to lose anymore. Suppression of dissent by a Zanu-PF government, like what happened in the past, may therefore be met with counter-violence by angry citizens this time. Zimbabwean politics are now deeply divided between Zanu-PF, with support mostly in the rural areas, in alliance with conservative traditional leaders, the military and key tycoons who benefited from government patronage, and the MDC Alliance, with support in the cities among the youth and professionals. If there is any silver lining, it is that Zimbabwean society appears to be less divided now between ethnic groups than it was before, between a Shona dominated Zanu-PF and an opposition based among the smaller Ndebele. Now, the society is mostly divided between those who wanted a break with the Zanu-PF past and seek a new politics through the opposition, and those who still back the old party. This is progress of some sort. 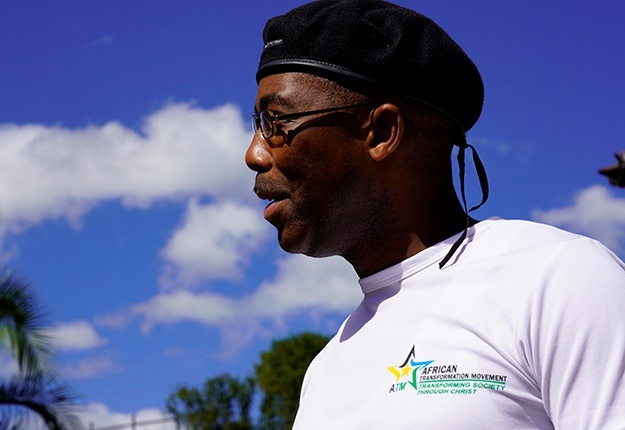 South Africa, the Southern African Development Community (SADC) and the African Union (AU) must now intervene to secure a governing coalition for Zimbabwe. In such a coalition, Chamisa should be appointed prime minister and the Cabinet equally divided between the MDC alliance and Zanu-PF. The army will have to withdraw from politics. Civil oversight of the army will have to be introduced. This would include not only parliament holding the army accountable, but also civil society and the media. At this point, a coalition may be the best way to ensure the post-election Zimbabwean government to govern in the widest public interest. A coalition government agreement could be based on key fundamental reforms. The first of these are freedom of the media to operate freely, civil society to hold government accountable without being persecuted and allowing citizens to protests, and criticise government and the president. This will mean that restrictive laws which are undermining civil society, independent media and opposition parties must be scrapped. The most repressive laws include the Public Order and Security Act (POSA), Access to Information and Protection of Privacy Act (AIPPA), and the Criminal Law (Codification and Reform) Act. Furthermore, the independence of the judiciary must be entrenched. The Zimbabwean government must implement the international rights and democracy charters they have signed, such as the African Charter on Human and Peoples' Rights and the International Covenant on Civil and Political Rights. As part of any coalition agreement, the government will have to introduce merit into the public service appointments and government contracts, import Zimbabwean diaspora experts and protect individual property rights from arbitrary seizure by government. The government must introduce a proper industrial policy. Its current discredited indigenisation policy should be change to one that is focussed on creating new manufacturing companies, skills and technology transfer. Given the collapse of the state in many areas, the country will have to encourage SMMEs, with Zimbabweans manufacturing products currently not readily available. SMMEs and small farmers must be linked to the supply chains of state companies and foreign investors, based on merit, rather than political connections or ethnicity. There has to be greater political will to tackle corruption – to restore business confidence. Seriously tackling runaway corruption must also be a pillar of any coalition agreement between Zanu-PF and the MDC Alliance. Zimbabwe had, for a short period starting in 2009, a coalition government between the governing Zanu-PF and the opposition Movement for Democratic Change (MDC). The first round of the 2008 presidential elections was won by the MDC, but government-controlled election officials pronounced a run-off. Following a campaign of violence unleashed against opposition supporters, Tsvangirai withdrew from the run-off, giving Mugabe an uncontested poll. As a compromise, negotiated by regional and continental organisations, the governing Zanu-PF agreed on an "Inclusive Government" with Tsvangirai as prime minister and Mugabe as president. It is crucial that South Africa actively intervenes to persuade Zanu-PF and the MDC Alliance leadership to secure peace through a coalition government, through a strengthening of democracy and through inclusive economic development. If not, more Zimbabweans will flood into South Africa, seeking refuge at a time when the country is battling to deal with its own economic crisis. - William Gumede is associate professor at the University of the Witwatersrand's School of Governance and author of South Africa in BRICS (Tafelberg).